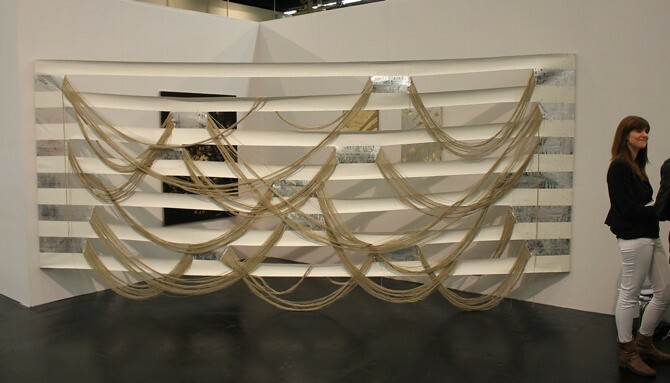 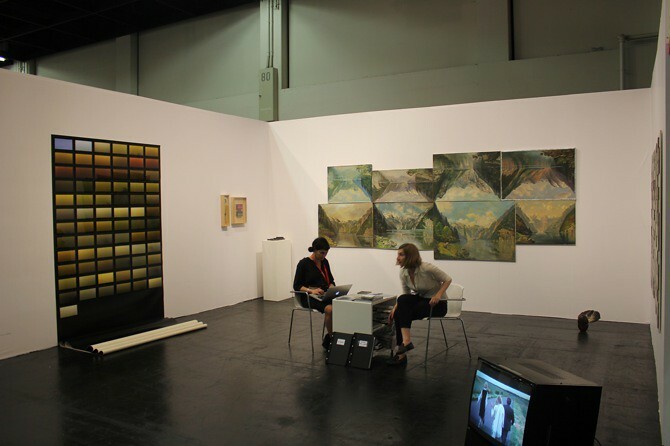 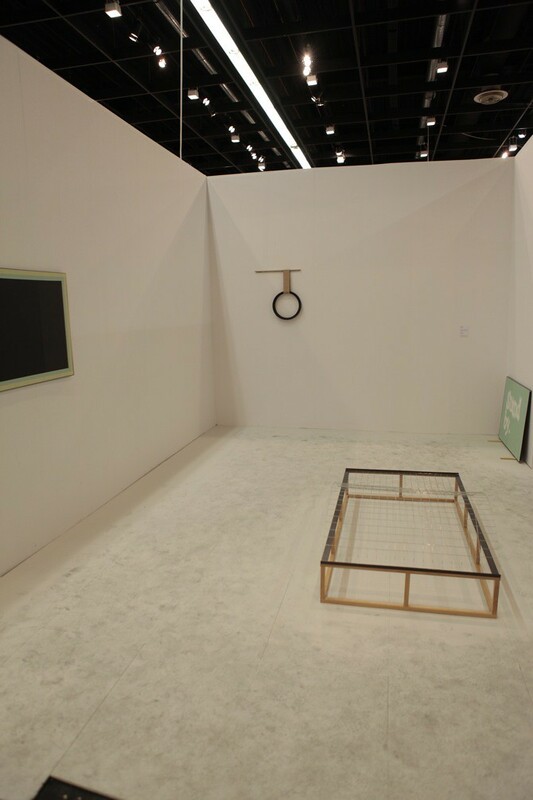 Even though there should be much to expect from NADA, only few booths could convince with exciting positions: DREI showed beautiful textile installations by Anna Virnich and combined these with three minimalist sculptures by James Clarkson. 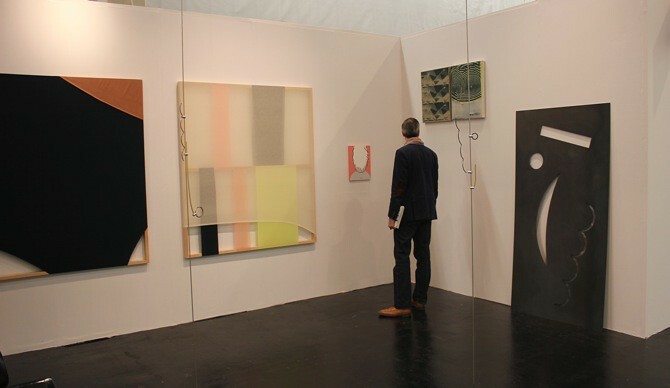 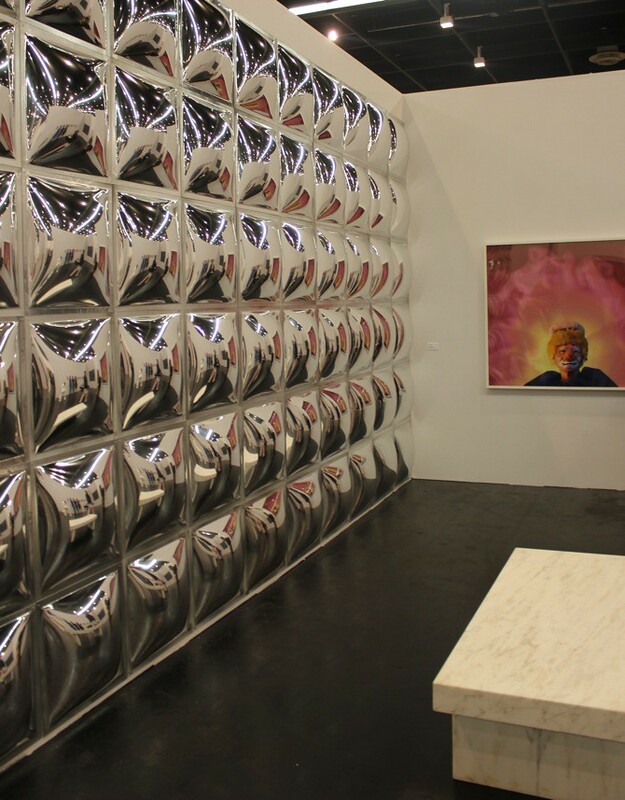 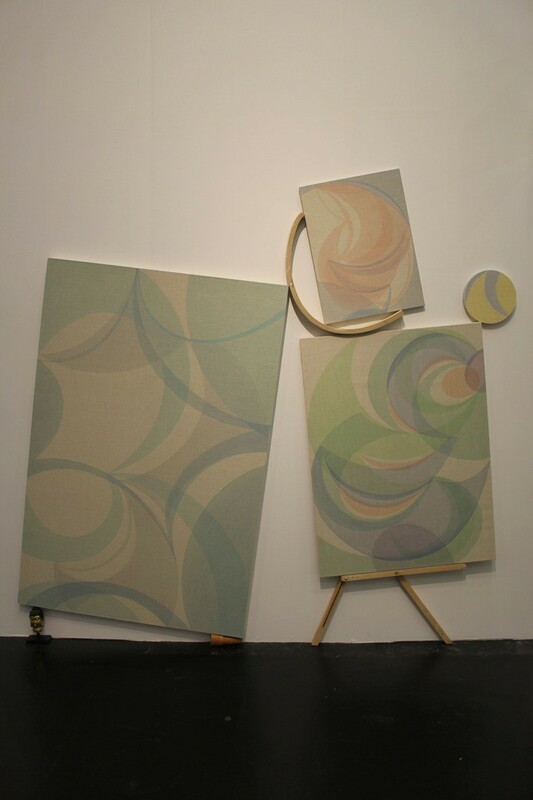 Schmidt & Handrup, another Cologne-based gallery, had Nathan Peter transform their whole booth into a corner wrapped in silver stripes, covering three paintings on the wall-space. 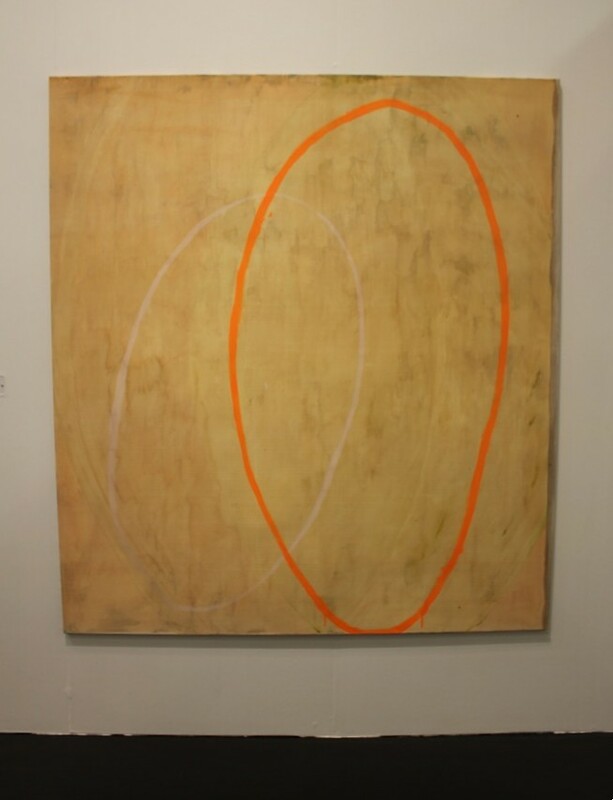 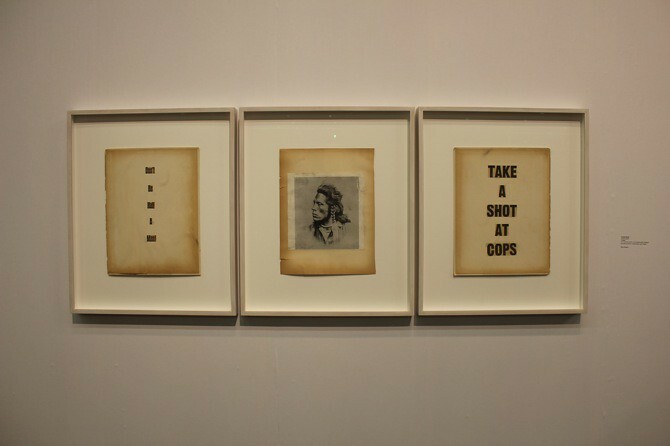 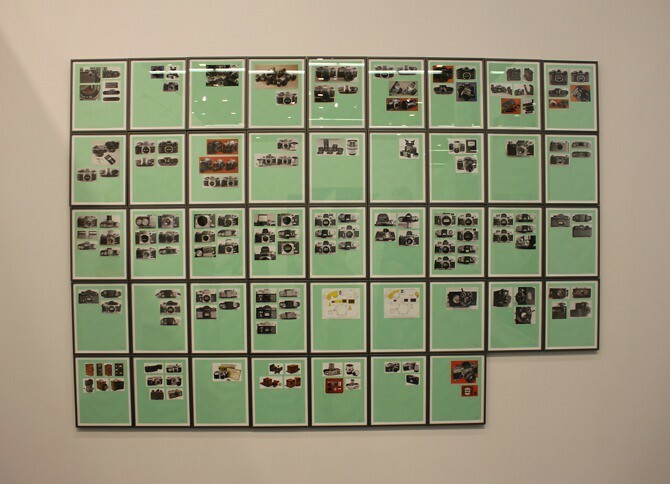 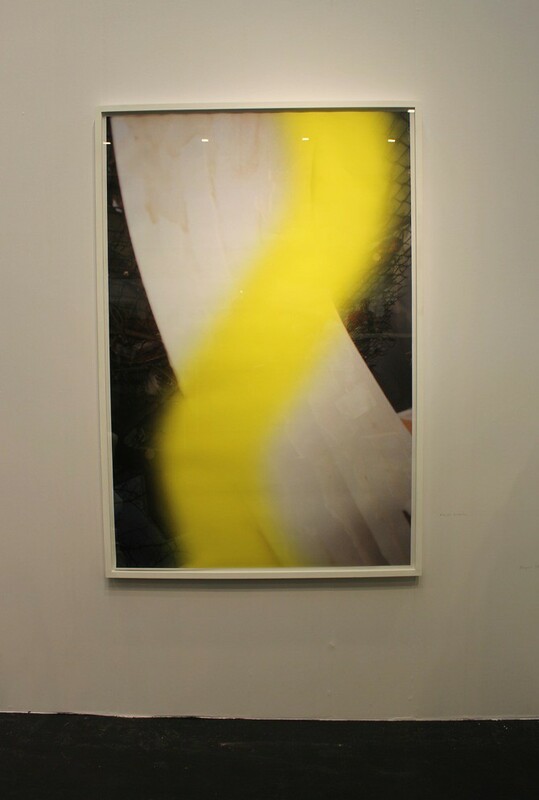 There were also some new discoveries to make at NADA, including a great yellowish photo collage by Per Kirkeby's son Absalon Kirkeby at the Copenhagen-based Peter Amby Gallery and a brave booth curation by Blank Projects from Cape Town. 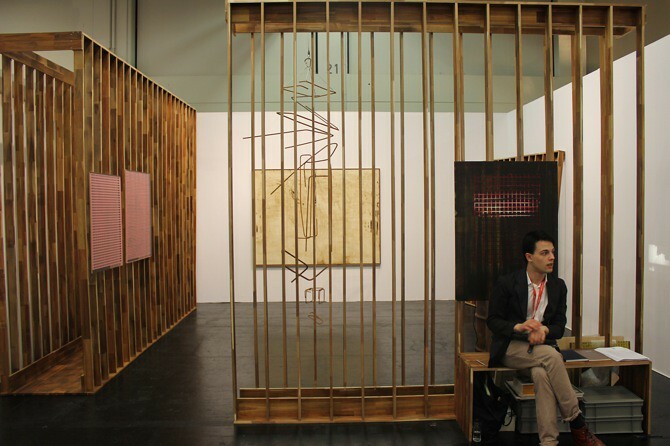 In the much bigger section of the New Contemporaries the gallery booths of the brothers Johann König (Berlin) and Leo König (New York) are among the most striking spaces. 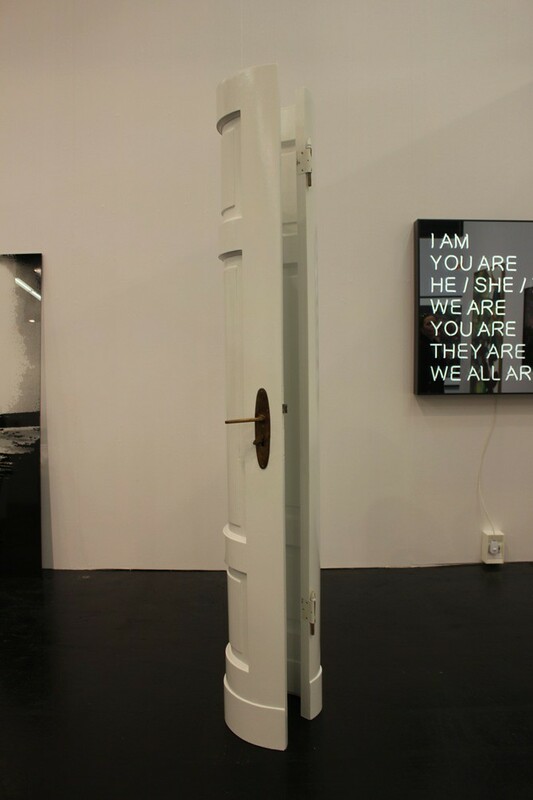 Johann König, whose gallery focuses mostly on conceptual art, exhibits a bended door by the up-and-coming star Alicja Kwade and, amongst others, "We all are", a humorous manifest by Jeppe Hein, continuing the grammatical conjugation table of "I am". 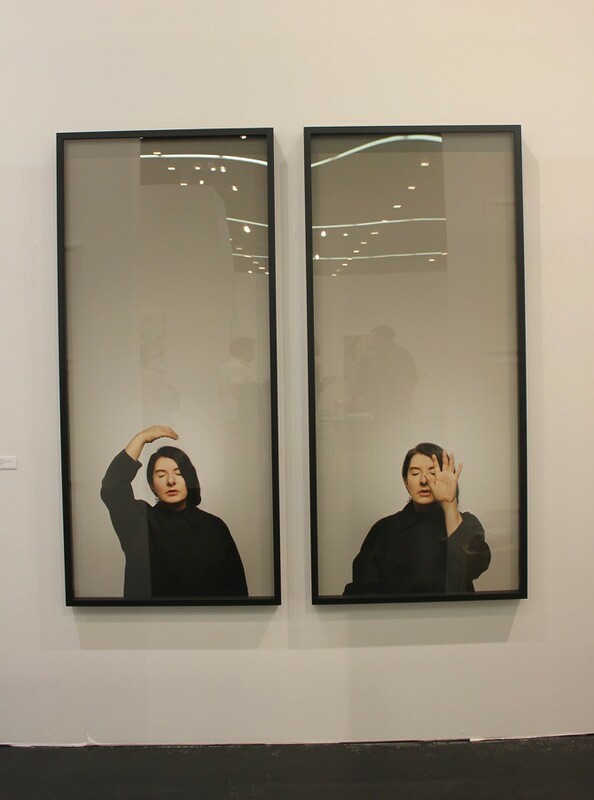 Leo König has a huge plexiglass installation by John Armleder in his program and placed a typical Cindy Sherman self-portrait next to it. 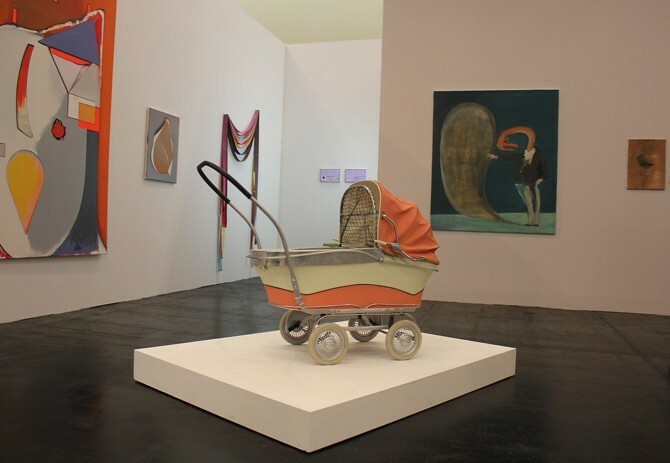 This might have been the reason why Berlin- and London-based gallery Sprüth Magers decided not show Sherman, but instead dared to put installations by younger positions, such as Michail Pirgelis and Thea Djordjadze, in the spotlight and let them dominate a knitting picture by Rosemarie Trockel and a great series of works on paper by Walter Dahn. 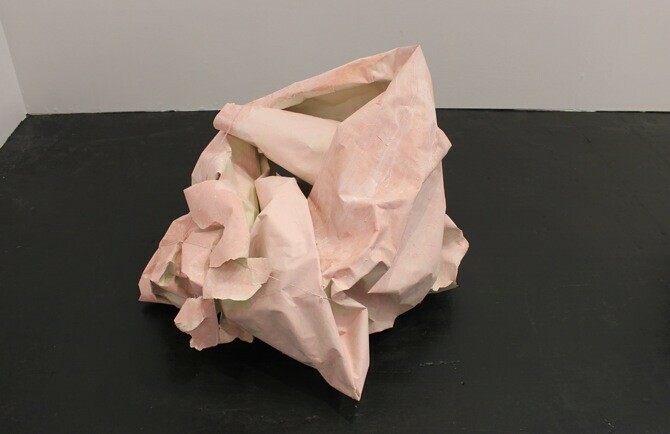 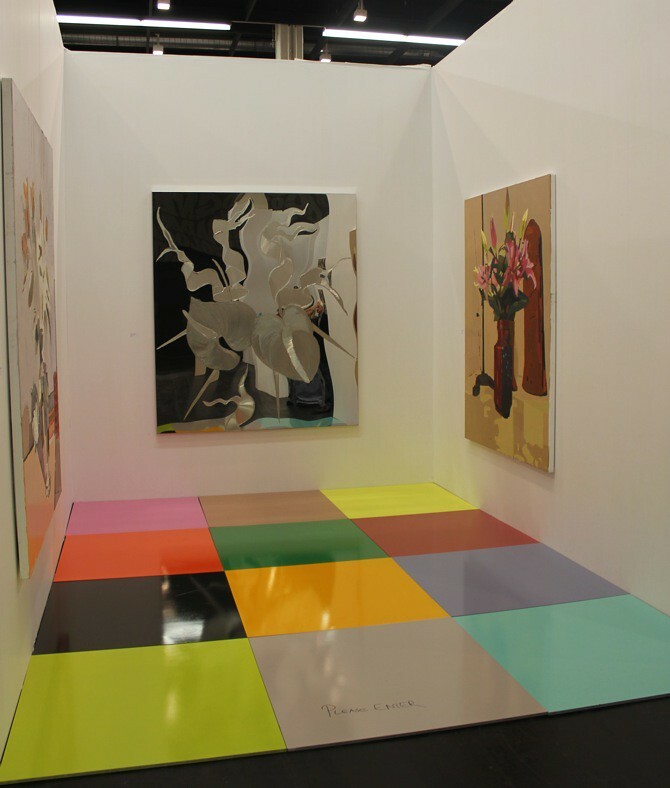 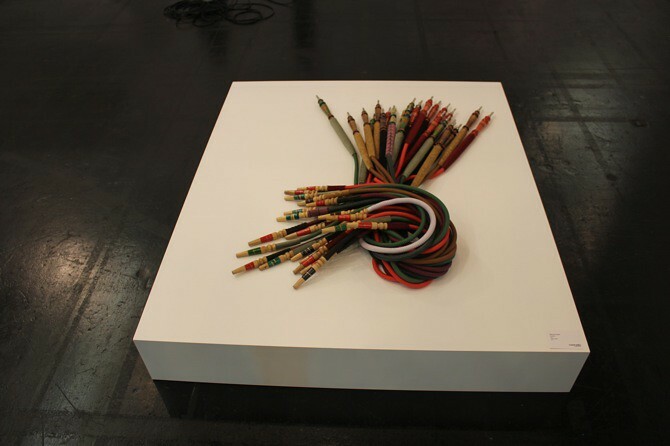 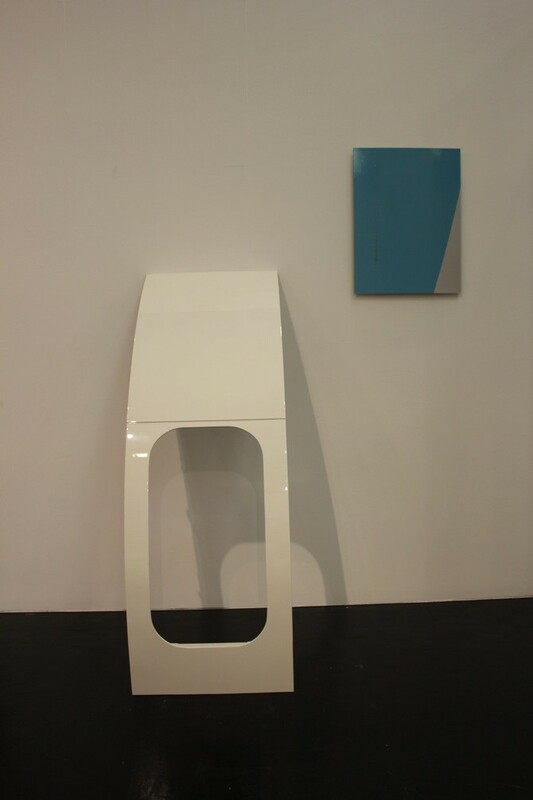 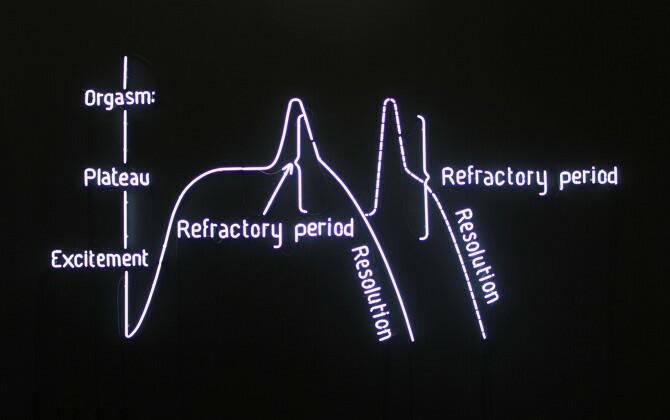 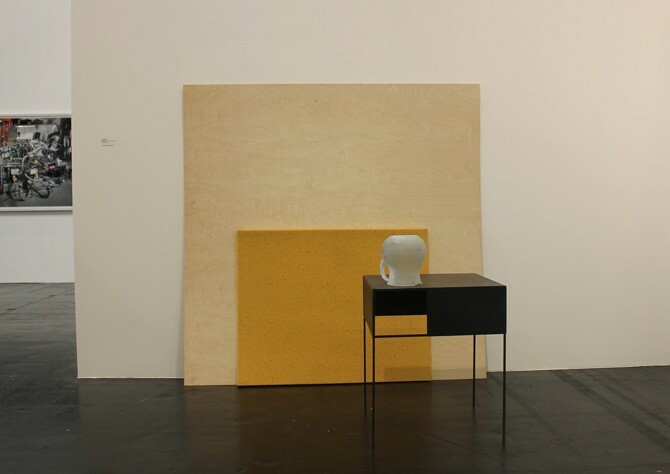 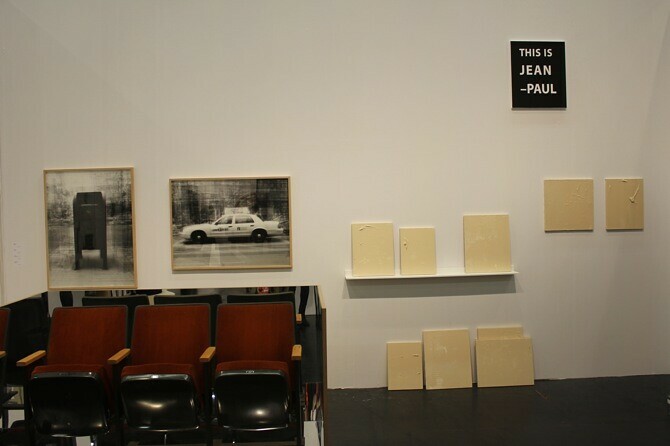 Arguably, Berlin-based Galerie Neu got the most out of their space: exhibiting 16 artists, the booth is transformed into a seemingly disorganized pile of two- and three dimensional pieces by well known artists as Sergej Jensen, Klara Liden or Manfred Pernice, which made the curation stand out as the most noticeable. 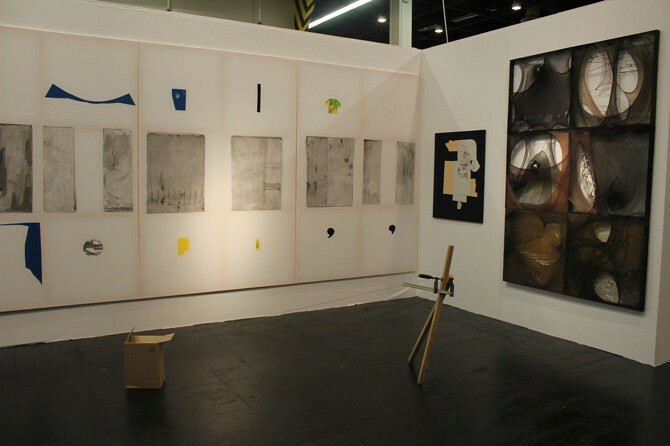 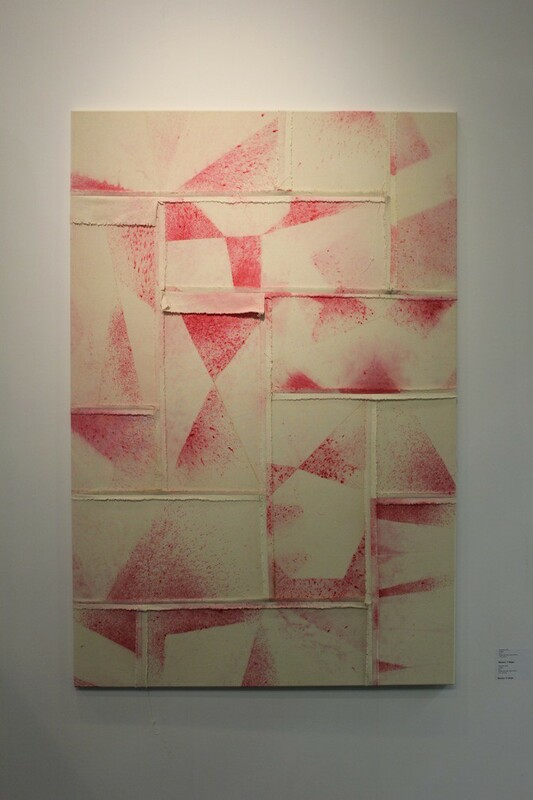 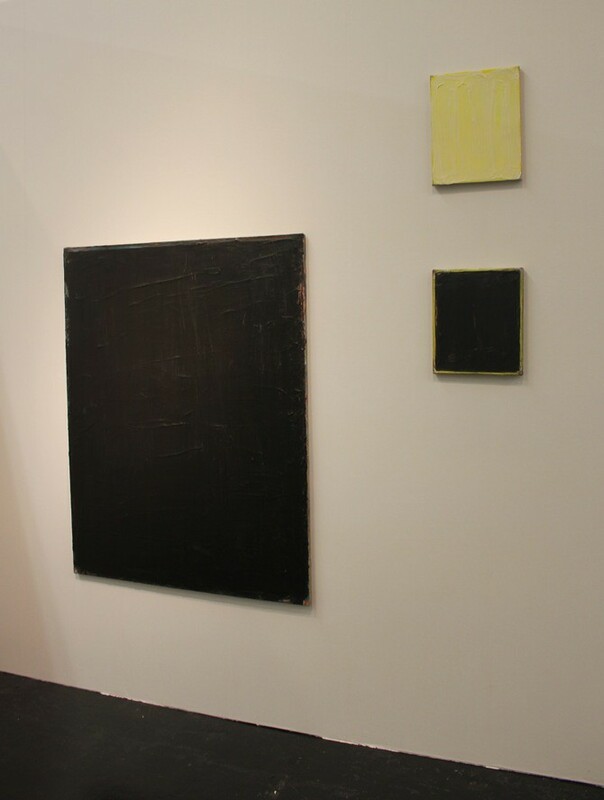 In contrast, Peres Projects from Berlin seems very organised and clean, but still has one of the most cool booths that includes collages by Dash Snow and large paintings by David Ostrowski. 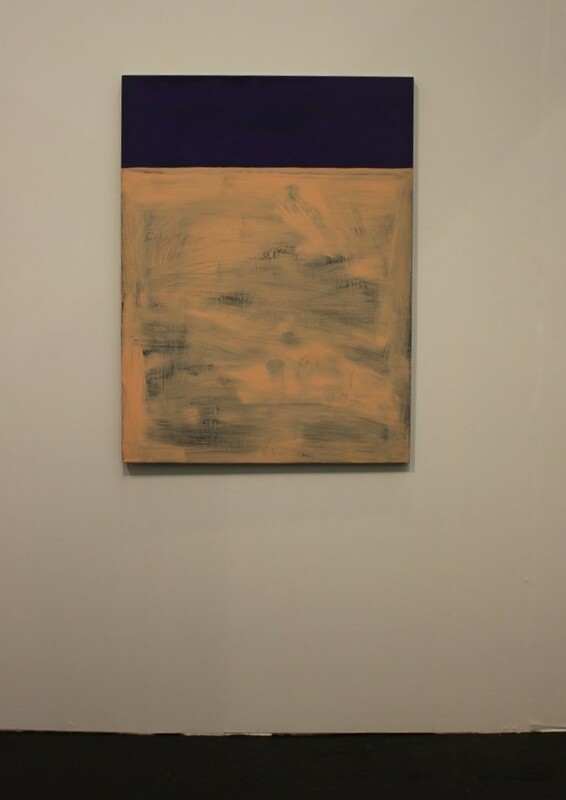 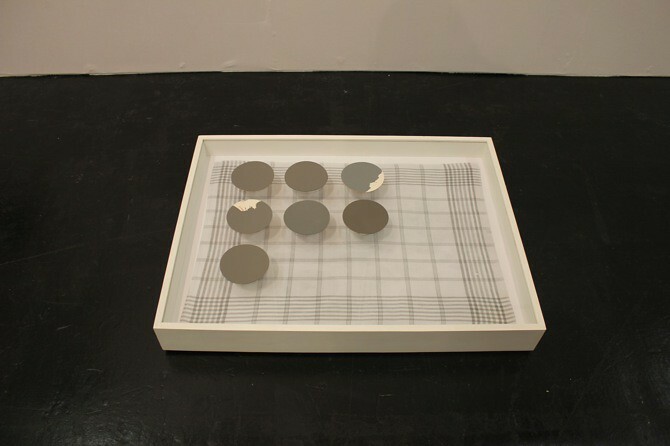 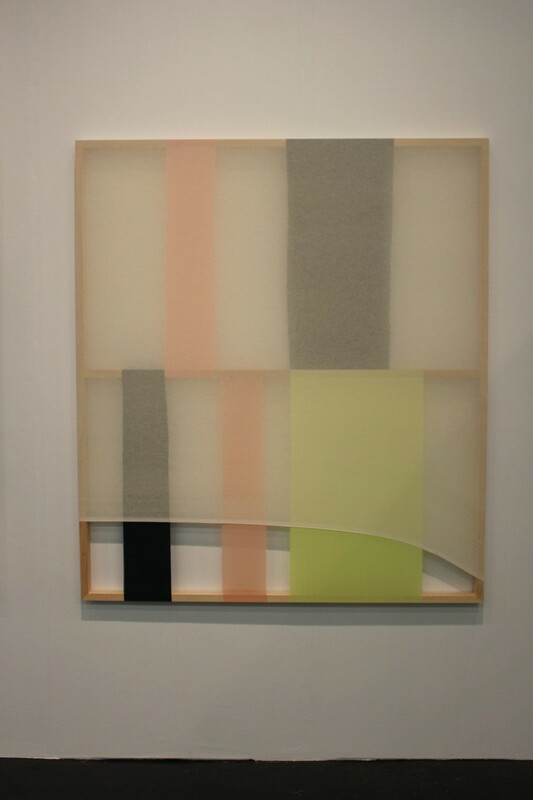 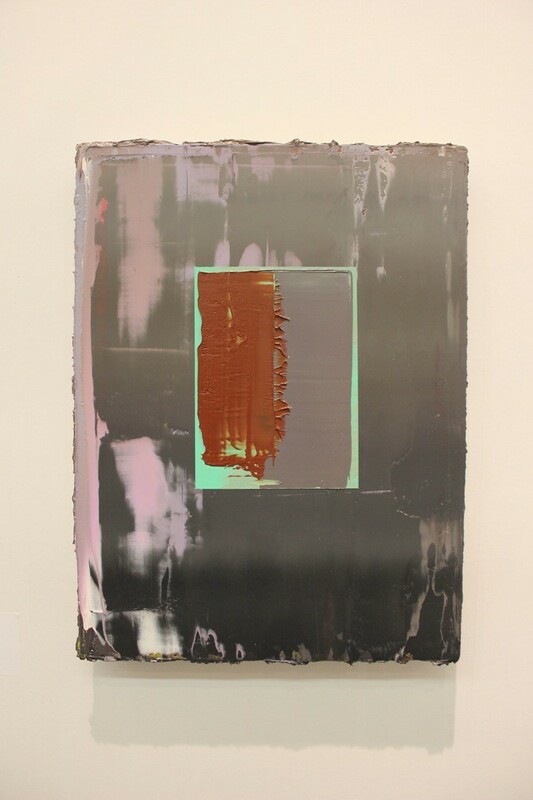 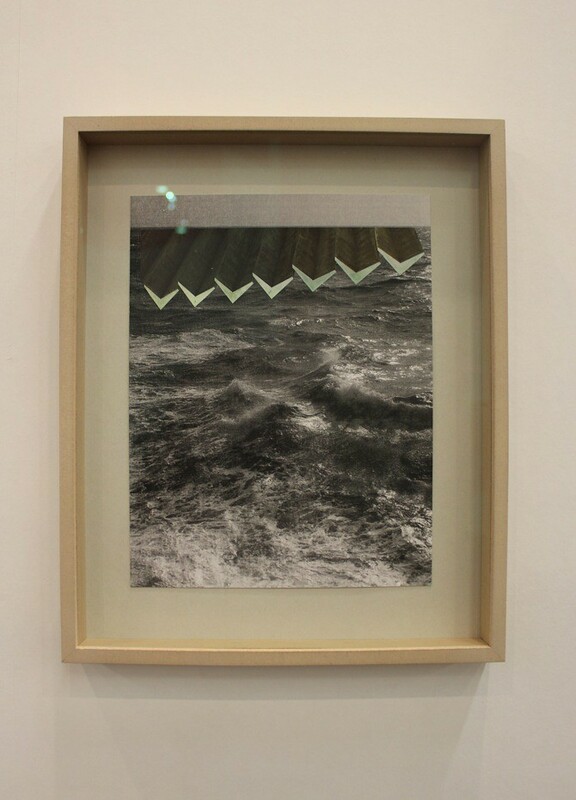 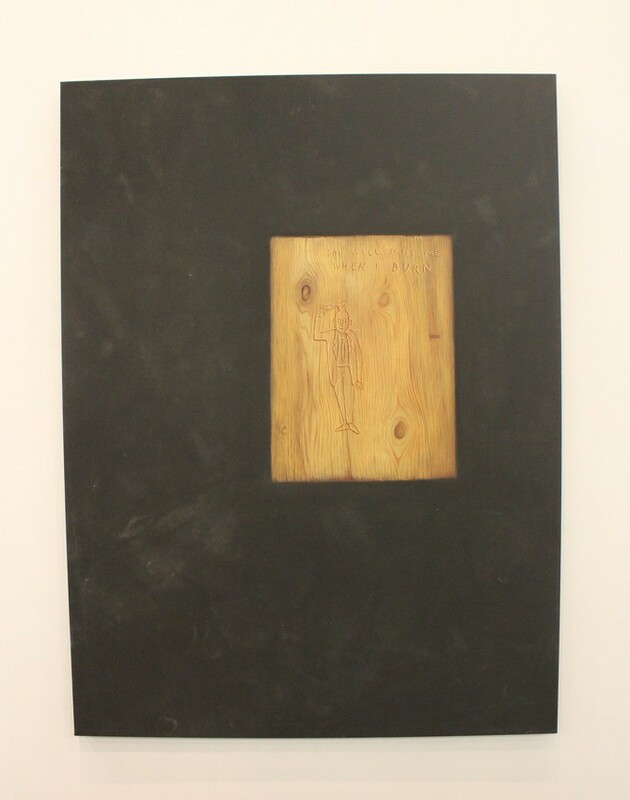 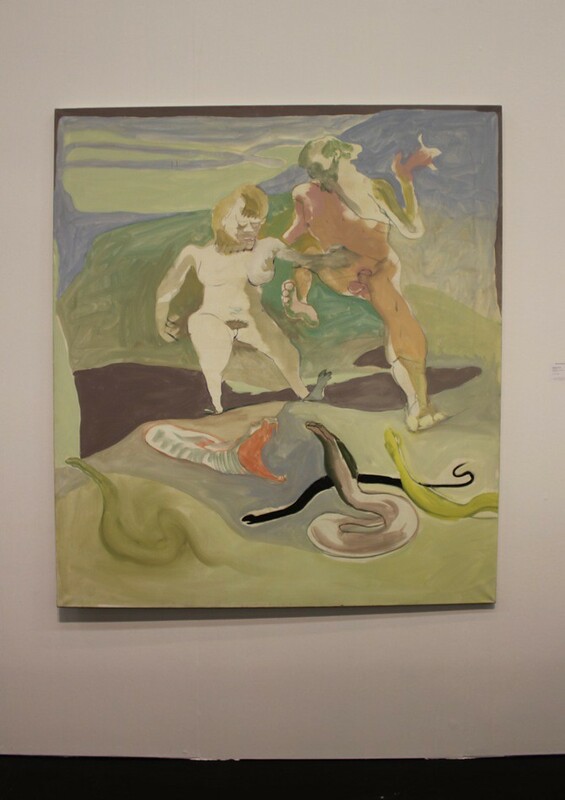 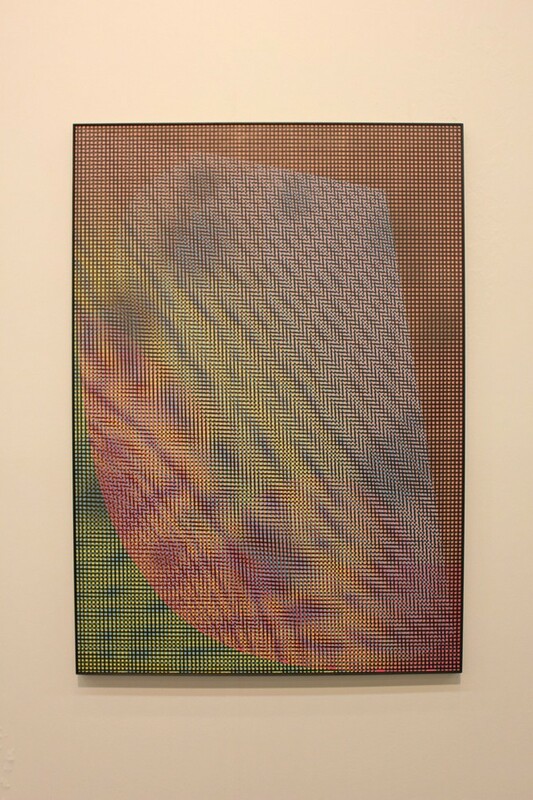 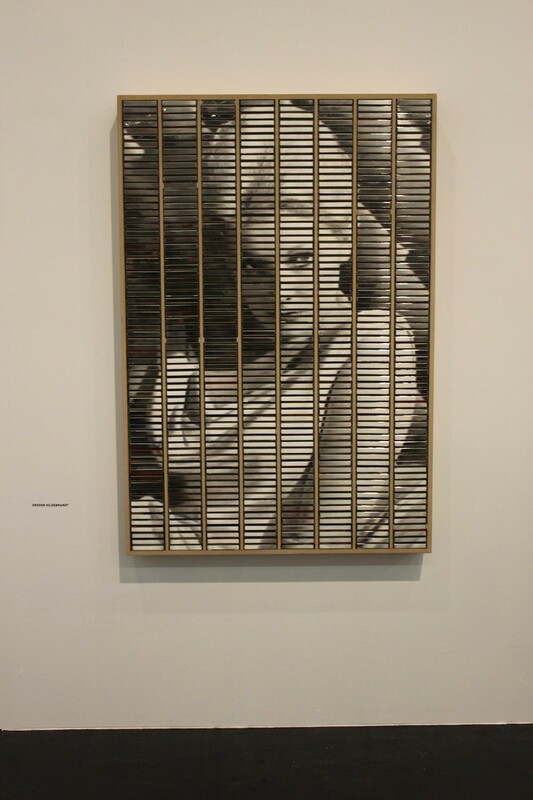 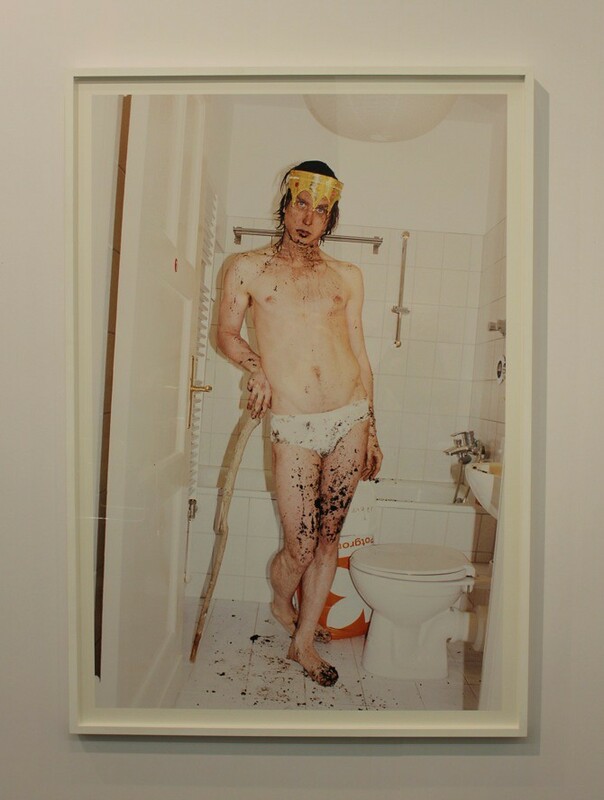 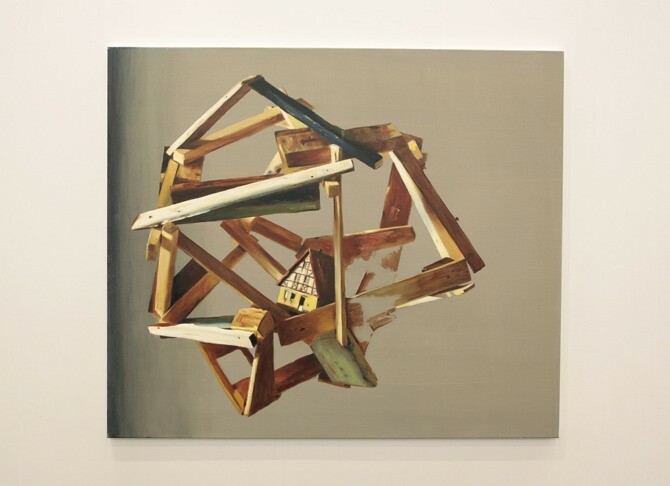 Also BQ from Berlin managed a remarkable presentation with only two-dimensional works, out of which a painting by Friedrich Kunath was among my favourites from the whole fair. 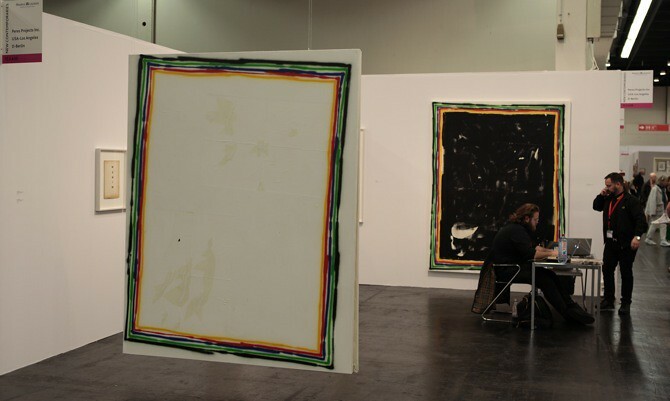 With every forthcoming year, Art Cologne's first and second floor develop a bigger distance between each other: Only a few famous classics by Imi Knoebel, Georg Baselitz, Dieter Roth or Günther Förg still hold the two worlds together. 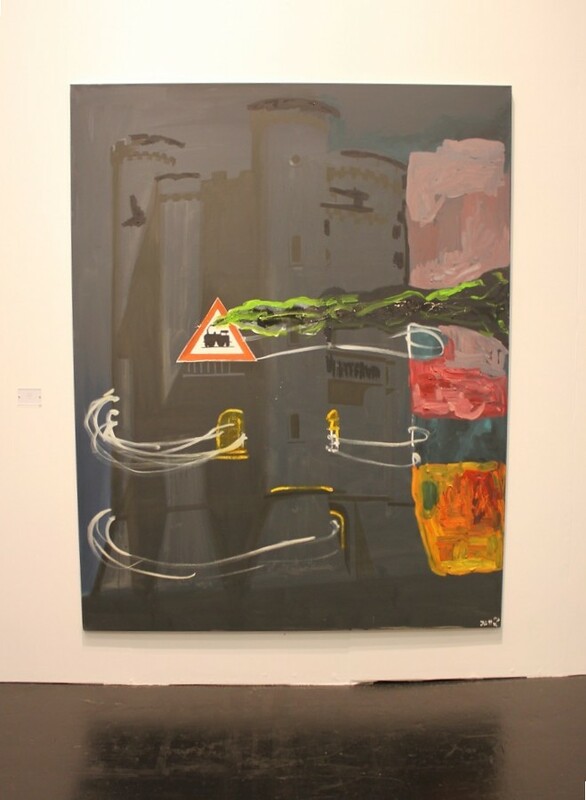 But this time the young generation was finally allowed to overshadow the busy buying processes from downstairs and to dominate the fair - simply with a good contemporary art exhibition. 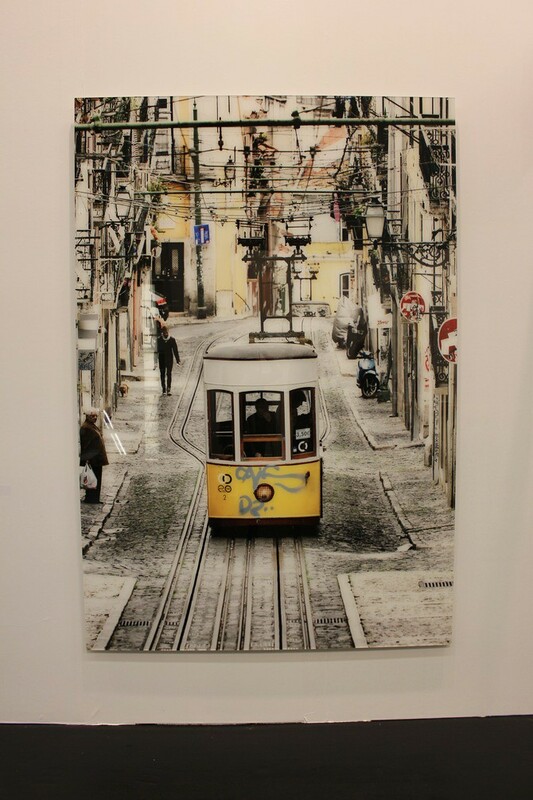 Thanks for that, Daniel Hug!